I'm often asked this question: what are the keys to becoming a great basketball player?.I give a two-word response: hard work.All joking aside though, hard work is a key component of success in basketball (or any other area of life for that matter). But a more detailed, useful answer is really in order.I have broken down success as a basketball player into 6 broad categories:.1. 6. Being in the moment.Let me go into detail on each of these items.Basketball Skill First and foremost, you have to be able to play the game. From shooting, to dribbling and passing, to rebounding and defense, you've got to know the game, and be a good player. This is, it goes without saying, the foundation on which every successful basketball career is built.Physical Ability In addition to being able to play the game, great players are usually exceptional athletes. Now, this doesn't mean you have to be the fastest, strongest, highest jumping player on the team. But it does mean that you have to be very mobile, very agile, have good hand-eye coordination, and have good endurance (among other things). Being a good all-around athlete allows your basketball skills to flourish and grow.Confidence Having basketball ability and physical skills takes you only so far. Taking your game to the next level requires massive confidence, the belief in yourself that you can go out on the floor and dominate, each and every game. Look at the great players (Magic Johnson, Michael Jordan, Larry Bird, Kobe, et al).these guys think one thing when they play: that they are the best player on the floor, and they are going to dominate the opponent.Aggressiveness In addition to believing in yourself, you have to be extremely aggressive every time play the game. You may be a nice, quiet person off the court, but once you put on a uniform and get into a game, you have to be fierce and determined, passionate and competitive.Thinking Big I coach a lot of players that doubt themselves and what they can do on the floor. Get rid of that kind of thinking. Don't be satisfied with what you were able to do last season, or last month, or yesterday. Set high goals for yourself, and think big.and you'll be amazed at how you are able to achieve more than you did before, just by picturing yourself playing better than you did in the past (picturing it, and expecting it). For example: if you scored 10 or 12 points a game last season, plan on increasing that by at least 2 or 3 baskets a game. If you grabbed 4 or 5 rebounds a game, plan on upping that number to 6 or 7. Now, remember that scoring more points doesn't necessarily mean you are playing better than before, but you get the idea. The point is to expect more of yourself, set higher goals for yourself, and set firmly in your mind the belief that you will play better than you have in the past. Believe it, and it'll happen. Being in the Moment Lots of players over- think the game. Whether it's psyching yourself out at the free throw line, letting a bad play compound itself and negatively impact the next play, or being hesitant to take the ball to the basket for fear of getting blocked, you can't allow these types of negative thoughts, or over-thinking to keep you from playing at your best.The key is to be in the moment, be in the flow of the action, and let your physical abilities, and all the practice you've done take over. Don't think or worry, just play. These are the 6 main areas of success in basketball. Think through each of these, and really figure out a way that you can get better in each one. What can you do today, tomorrow, or next week that will help you improve in these areas?.Come up with some answers.then go out and make it happen!. .Patrick Chylinski is a former college and professional basketball player. He is now a private coach based in Los Angeles. Visit his website at http://www.basketballsuccess.com for more tips and training information. 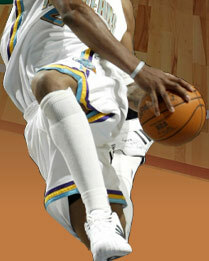 Also visit http://www.proandcollegebasketball.com for NBA and college hoops news and other great basketball info.